Wednesday – Saturday 11 p.m. – 7 p.m.
November 13, 2014 1:00 p.m.
NO! is back to regular business hours on Saturday November 15. There is still a lot of renovating left to do, but I’m back to taking on projects. Once again, a huge thank you to everyone who kept me busy during the downtime. I worked on a lot of drool-worthy gear! July 14, 2014, 12:30 p.m.
NO! Guitars will be taking a brief hiatus as an allegedly drunk driver drove into the front of my shop. The damage is fairly extensive. If you have a repair with me or a custom build don’t worry, no instruments were damaged, with the exception of my 2 antique pianos. Those are both toast. July 14, 2014, 5:30 p.m.
I’m really grateful for the outpouring of support and kind words, but I’m not sure what the status of the shop is yet. i have no idea how long NO! is going to be closed. I’m still waiting for an engineer to come out and assess the damage. As it stands now it doesn’t look promising. I will do my best to keep everyone in the know. thanks again! NO! 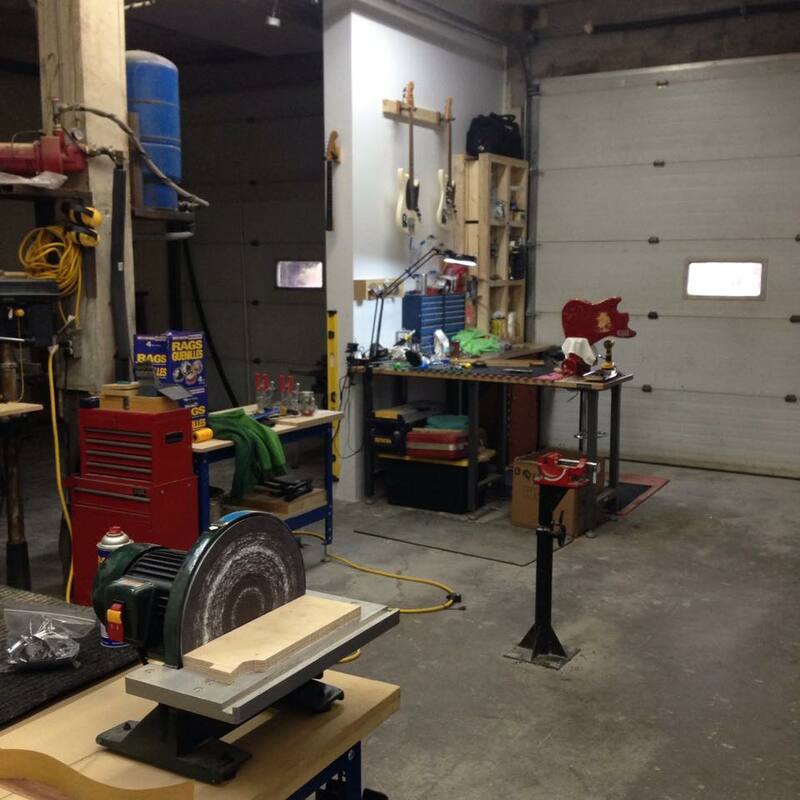 guitars is the wood shop and second home of Halifax-born, Toronto-trained luthier Robin Hart Hiltz. Specializing in offset guitars, NO! guitars offers refinishing, repair and restoration of all stringed instruments, fresh off the shelf or vintage. Need a simple guitar set-up or a full refinish, yearn for a Mastery Bridge or ready to talk custom build? We stock the parts, paints and woods you need, and have the connections to find the components you want. Our full website will be live soon. In the meantime, see what’s happening in the shop on Instagram or submit the contact form below to get in touch. I live just down the street from you, and was curious about your sign, do you also do appraisals……… have some old guitars to be appraised. I would be more than happy to appraise your gear for you! Feel free to pop by during regular business hours or call/email ahead to schedule an appointment. among other things i have a j200 gibson guitar , and a very old mandolin, look forward to showing them to you. going through your instagram feed and see some real beauties. Looking at the possibility a few months down the road of picking up one of the Vintage Modified Jazzmasters (roughly 320$ at L&M) and getting a few electronic mods to emulate the Thurston Moore signature model on the cheap, you would be the guy I’d hit up. The missus told me you said hi the other day, coffees next time your in the North end.